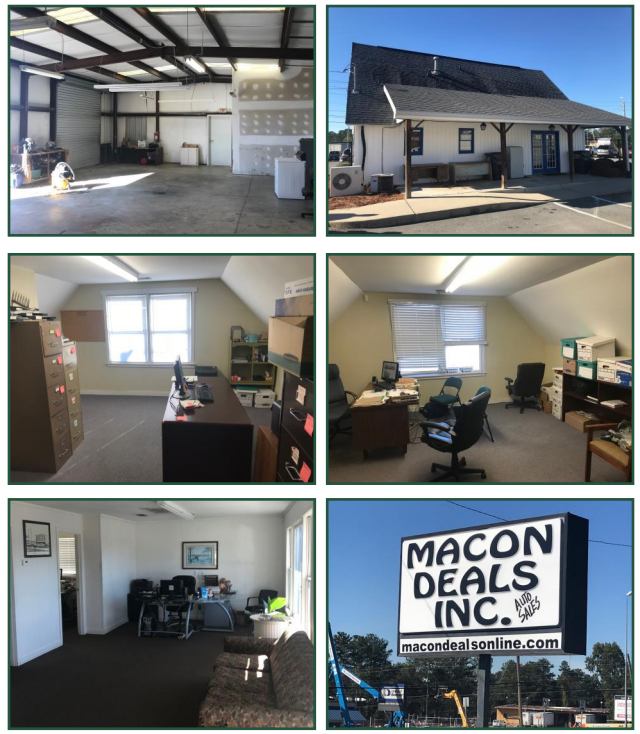 Building has lobby, reception area, break area, offices, 2 restrooms, rear shop/ warehouse area with 3 drive in roll up doors and mezzanine storage. 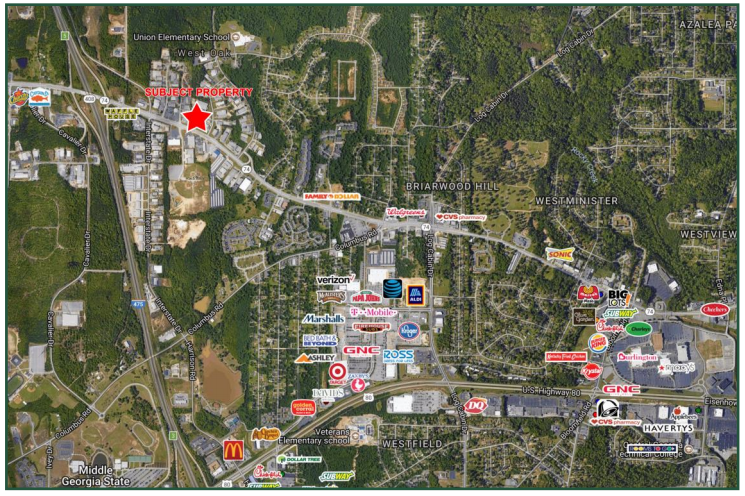 Convenient to Roberson Mill Rd and N Columbia St.
Former sign shop located behind Krispy Kreme in a high traffic area. Access to both Garrett Way and N. Columbia St. Located in Macon, Ga. in Twiggs County in quiet neighborhood. 7.06 acre mobile home park with room to expand. 10 units. 1.04 acres. Current building is located on 1/2 of the 1.04 acres. 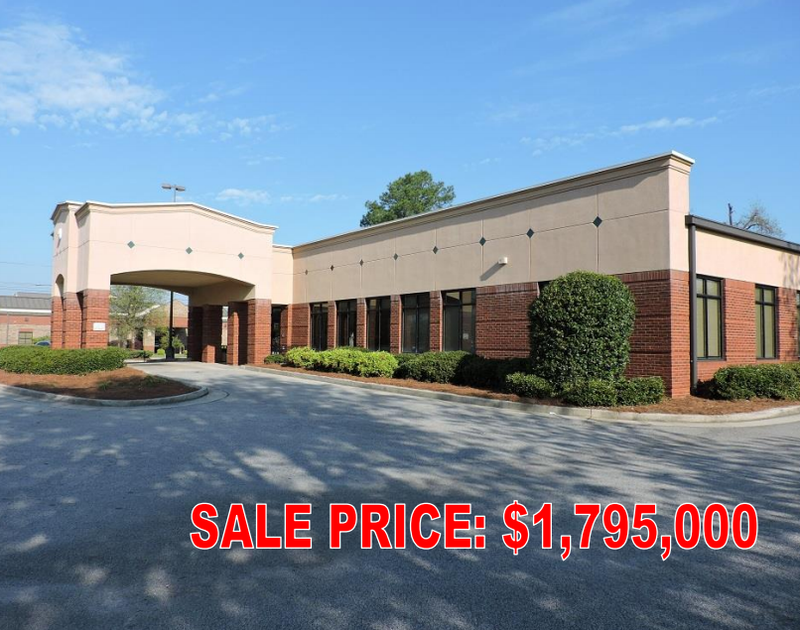 Remaining lot adjacent to the building is available for another building or to expand existing building. Located in North Macon convenient to I-75, shopping, restaurants, and hotels. 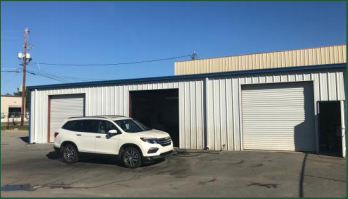 Building has a 10’x 25’ lean-to along the rear of the building Building as well as a 4,300 sf concrete area in the rear that can be used as a laydown area. Originally built for a boat dealership & service center. Showroom 4,000 sf with 2 restrooms. Shop area 3,000 sf with 1 restroom with shower. Mezzanine storage and office. Propane heater. Fenced. Property has 1 drive-in dock and 3 dock high. 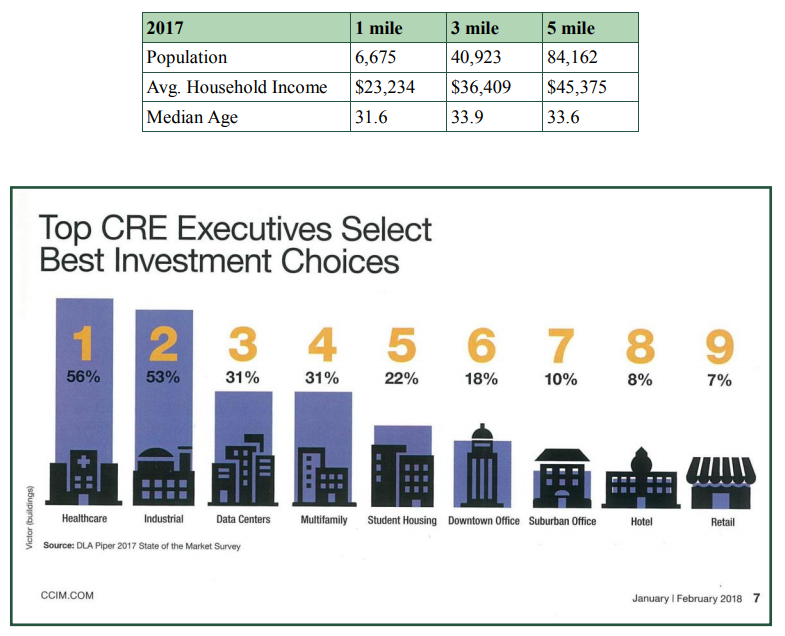 Neighbors include Baldwin County Schools, Central Georgia Technical College, and is located in the Baldwin County Industrial Park. Close to downtown and Georgia College & State University. Leases: Courier Express leases 41,100 sf (new 3 year deal beginning January 1, 2018) Ethanol Company leases rail spur and 1,000 sf warehouse. There is cross parking and access easements in place. Located in the Industrial Park with rail access. Shop/Warehouse with rail spur and 6 dock doors. Has loading dock high and drive in access, heaters, lighting, fans, and fire sprinkler system. Owner will consider a long term lease. side), remote ATM bank site. This site is 300 feet from entrance to Robins Air Force Base.